I have used a number of different teeth whitening products, with varying levels of success. I had custom-made trays to fit my teeth and have tried the bleaching method. They’re quite a bit of work, and it is awkward having bulky trays on your teeth for 30+ minutes a day. Not to mention incredibly expensive. I have also tried the Crest Professional White Strips, which are expensive and you put them on everyday, for 30 minutes, and see results after about 4 or 5 uses (or 3, according to the package). This isn’t quite as awkward as the bleaching trays, but I was always paranoid I was swallowing the bleaching chemicals. After a little research, I found something that I thought would be an effective all natural teeth whitener. I have used the recipe below, with success, but before starting any new oral health routine, you should consult your dentist to make sure it is safe for your teeth. Mix ingredients together in a small bowl until a paste is formed. Make sure to add enough peroxide that there aren’t big chunks or specks of baking soda, because those can be abrasive and damaging to tooth enamel. The baking soda should dissolve in the peroxide. Using a tooth brush, brush paste onto teeth until covered. Allow to sit for 1-2 minutes, then rinse paste off with water. Brush teeth with regular tooth paste to remove any residue. Be sure not to swallow any of the mixture, and rinse mouth thoroughly with water when done. The peppermint essential oil is to mask the flavor of the baking soda and peroxide. I personally don’t mind the taste without the essential oil, but I had my husband try it sans peppermint, and he acted like I was poisoning him. 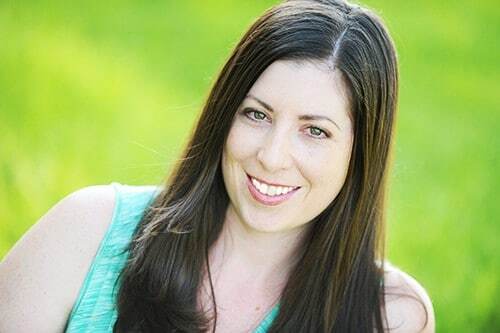 I could immediately tell that my teeth looked much brighter! They also felt polished and clean, like I was walking out of a dentist cleaning. For one minute worth of effort, I think this is a great alternative to commercial whitening products. In my experience, after 2 or 3 uses, it is a pretty substantial difference. I am going to start implementing this as part of my bi-monthly routine. 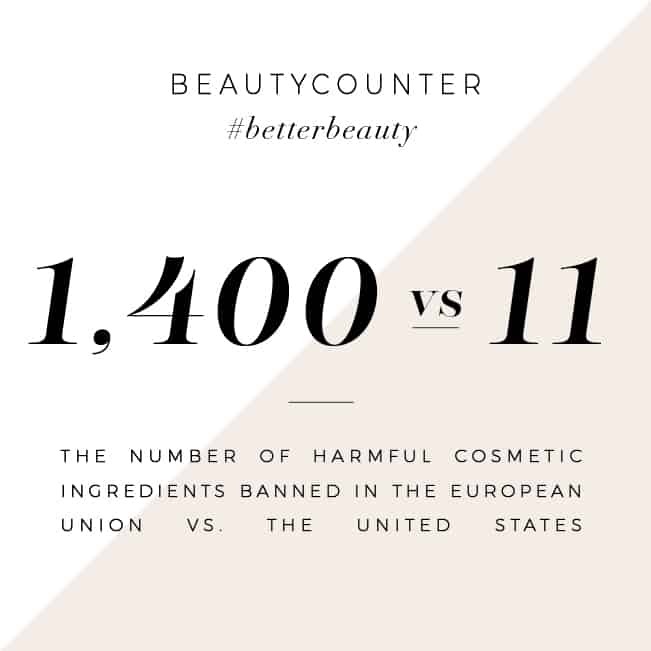 A tiny fraction of the effort and cost of commercial products, with no harmful bleach products, and substantially better returns. From the research I did, it is not recommended to use this product more than 1-2 times a month. The peroxide is reportedly safe to use on a regular basis (source), but the baking soda is abrasive and it can start to wear on the enamel on your teeth and/or cause your gums to recede. It would not be wise to use more than recommended. If this DIY whitener isn’t cutting it for you, try Activated Charcoal instead! 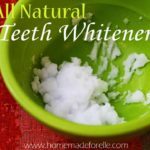 Want to have naturally whiter teeth but not a DIYer? 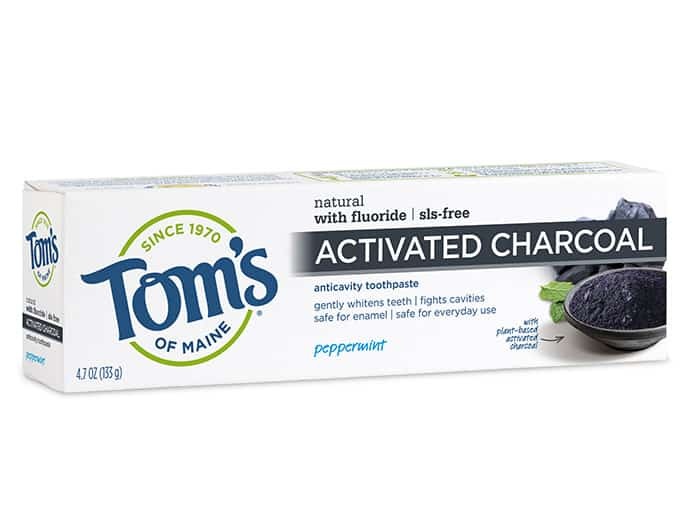 Try Tom’s of Main Activated Charcoal Toothpaste. It helps remove surface stains with regular brushing and all natural ingredients! 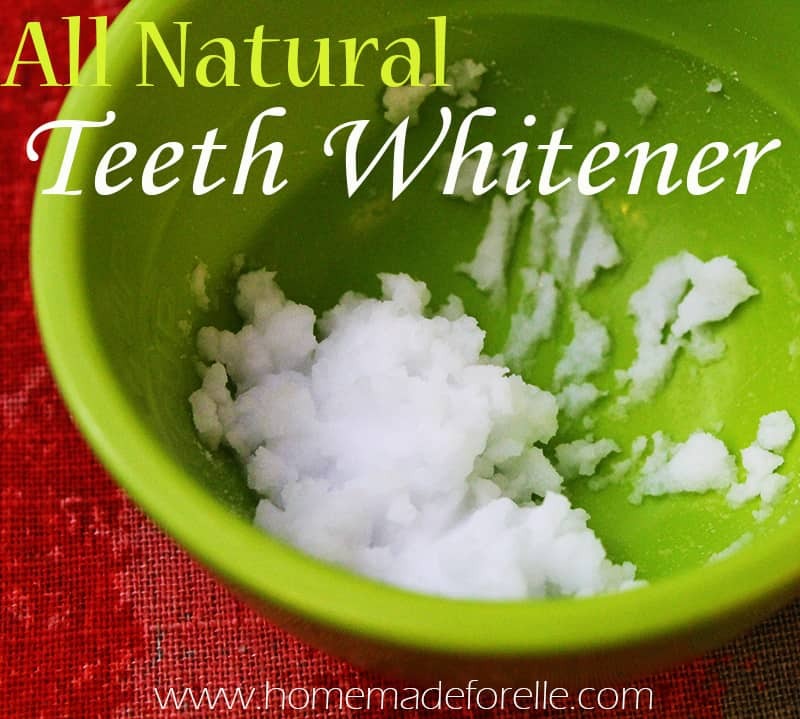 Have you tried a homemade teeth whitening regimen before? What has worked for you? Would this receipe be suitable for my fifteen year old daughter? If so please let me know. No, it shouldn’t be liquidy… it should be more like a paste. Try adding more baking soda, until you have a paste-like consistency. Seems to work well enough! The only problem I have is that I’m allergic to hydrogen peroxide and it leaves huge blisters throughout my mouth. Are there any other recipes I can use without the peroxide? I bleed so bad and my mouth isn’t too pretty afterwards. Thank you! Yikes, if you’re allergic, you should certainly avoid it. HAve you looked into Activated Charcoal? It’s a simple, but highly effective way to whiten teeth, and doesn’t have any peroxide in it. If you can’t use hydrogen peroxide, I find lemon juice works just as well. Just be careful about the reaction between the baking soda and juice. Just add the juice drop by drop until you get the desired texture. Where can I buy the hydrogen peroxide from in the UK? Or is it easier to buy online? If you are using this treatment is it still safe to use regular mouthwash after? works great and doesnt taste really bad due to the toothpaste…. I bet the toothpaste is a great addition to help guise the taste of the peroxide and baking soda. Thanks for sharing! can we use lemon juice if we don’t have hydrogen peroxide? I just used the baking soda and peroxide mixture an it burned my gums!! I thought I had the mixture deluged enough.. Also, how often can I use this recipe? Abby, are you using 10% or 3% peroxide? Make sure you’re using a 3% strength, and if it is still bothering you, I recommend trying Activated Charcoal instead. It shouldn’t cause any discomfort and works just as good, if not better than the peroxide and baking soda. If you want to continue using the baking soda and peroxide, limit using it 1 – 3 times a month to protect the enamel on your teeth. So if you only use this recipe once a month, you’re in no danger of enamel erosion? I’m all for natural teeth whitening, but I don’t want to damage my teeth. The American Dental Association has recognized hydrogen peroxide as a safe ingredient to use in teeth whitening, and it is found in most (if not all) of the commercial teeth whiteners available for purchase. Many people choose to brush with diluted hydrogen peroxide or use it as a mouth wash, and it alone is said to have effective whitening properties. Baking soda can be an issue if you’re concerned with enamel erosion. It’s safe in moderate doses, if used properly and diluted. You want to make sure there is enough hydrogen peroxide in the mixture so the paste isn’t gritty. If you’re unsure about this combination, you may also check out using Activated Charcoal as a natural teeth whitener. I have used it recently and found it to be an incredibly effective whitener. You can follow this link for more info on that. All that being said, I am not a dentist, so if you have hesitations or concerns, I would advise you to speak with your dentist. OMG! Don’t forget to read the instructions on the peroxide if you are going to gargle with it…I forgot to dilute it and it FREAKING BURNS!!!!!!!!! It probably didn’t help that I had just finished vigorously brushing with this recipe…. I am sorry to hear you had a bad experience, Amber! I haven’t ever tried gargling un-diluted peroxide before, so I can’t imagine what that must have felt like. It is always a good idea to use caution and follow instructions when using any type of product like peroxide. Thanks for the heads up! I am so glad I found this blog! I use baking soda to brush everyday, but I didn’t realize that it would be potentially harmful! I have also never thought to add peppermint essential oil as I am gagging through my daily brushings! I am pretty sure I am addicted to Homemade for Elle!